Well, now I can tell you why there are so few visits to the South West: BECAUSE IT TAKES FOREVER TO GET THERE. I could have flown to Iran in the time it took me to reach Bodmin today. IRAN. Although a flight to Iran would not have taken me across the River Tamar and through some of the loveliest countryside in the UK. 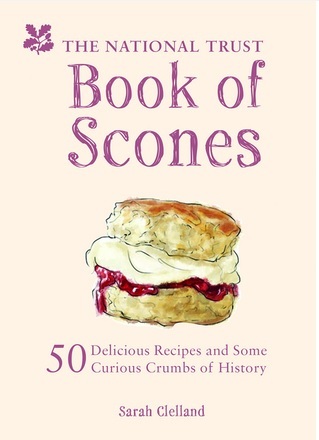 And it is also highly unlikely that I would find any scones in Iran. ANYWAY. Any sane person would have booked a holiday to Cornwall and done a tour of several National Trust properties, eating six cream teas a day, and spending peaceful evenings listening to their arteries furring up. Me? I went to Cornwall FOR THE DAY. 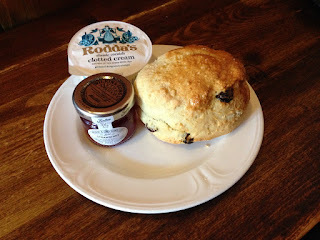 But it had to be done - this blog has been going for over two years now and it's embarrassing to talk about scones without mentioning Cornwall. 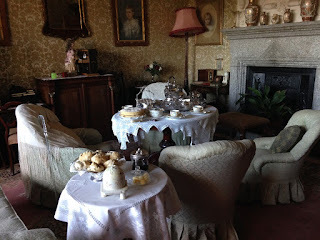 Plus, this is a blog about National Trust scones - sanity went out of the window a long time ago. 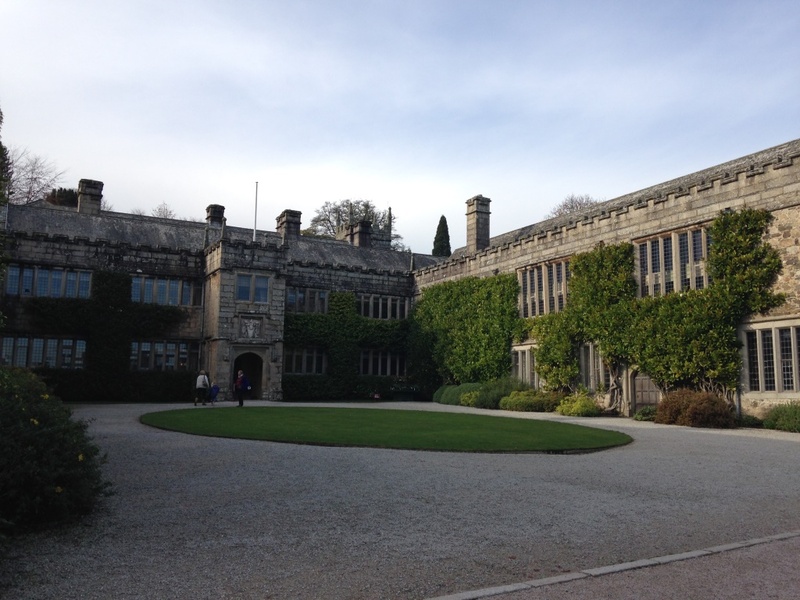 I chose Lanhydrock because it's possible to walk there from Bodmin Parkway station - it's a lovely walk too, I highly recommend it. 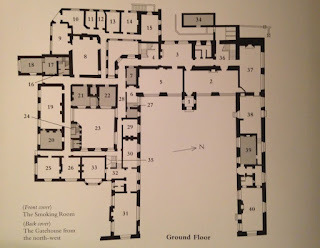 The first thing you need to know about Lanhydrock is that it's deceptively HUGE. 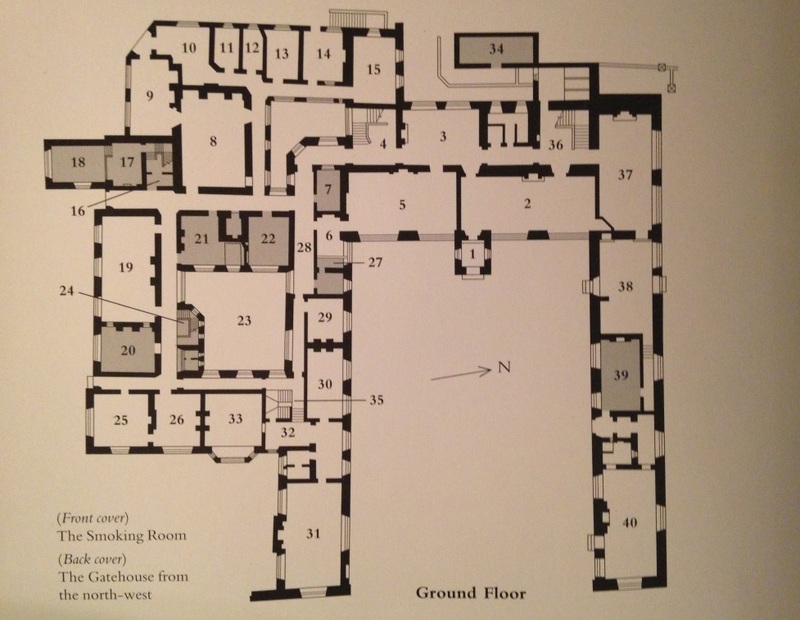 This is the floorplan for the ground floor alone - there are two other floors on top of this. Speaking of which - I think most people would agree that Devon and Cornwall are like the Arsenal and Tottenham of the scone world; they each have their own particular way of doing things and it's probably best to keep their supporters apart, especially if they've been drinking. 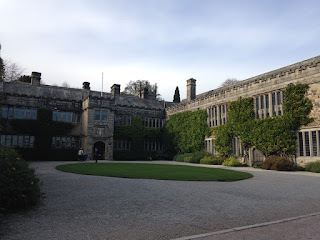 I've had two Devon scone missions so far - Killerton and A La Ronde - so it was up to Lanhydrock to west-coast-represent as the first Cornish mission of this National Trust Scone Odyssey. Readers, the scone was sublime. It was fresh and soft and tasty and I had snaffled it down in about two minutes. Lanhydrock also achieved something that none of the other properties have managed; they served the Rodda's cream at the perfect temperature. It was soft and a bit gloopy, not hard like it normally is. So today might have involved an insanely long trip, but it was one of those perfect days that reminds me why I pursue this crazy project. A lovely autumn day, a perfect scone, a fantastic piece of history, and the chance to see a bit more of the country that I live in. 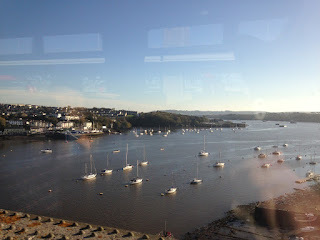 I leave you with this shot of the River Tamar taken through the train window. Powis Castle is in Wales. 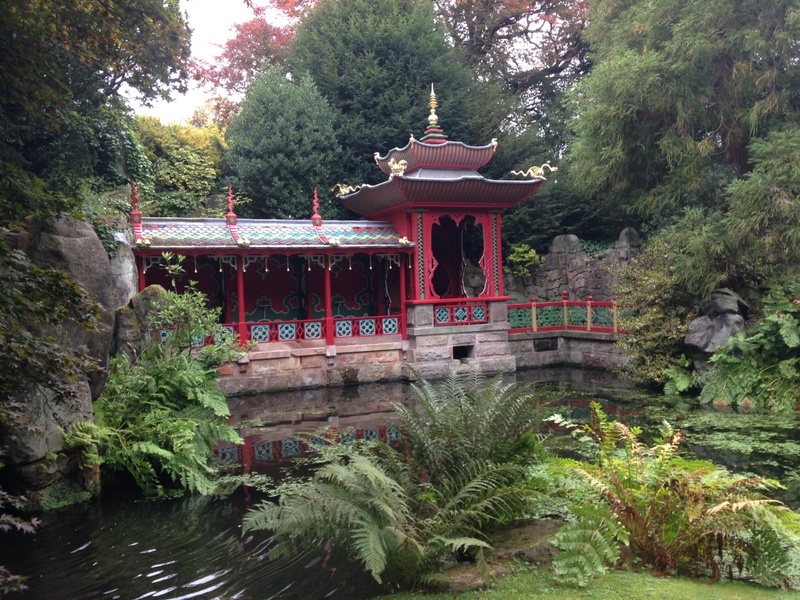 It's only just in Wales but it was built by Gruffudd ap Gwenwynwyn so I think we can safely say that it's Welsh. Powis Castle is fantastic, because it's a medieval castle that is still habitable. Having seen Powis, I now have a much better idea of how Bodiam Castle, built in the 1300s, or Corfe Castle, which is even older, might look if history had worked out differently. 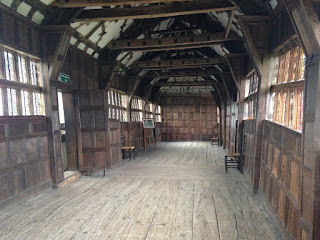 But unfortunately, I can't show you any photos of the astounding rooms. And this is where we get to a very rare burst of complaint from me. First, a disclaimer. I read Bill Bryson's new book this week, The Road to Little Dribbling: More Notes From a Small Island. In it, he is quite critical of the Trust. I found myself defending them in my head with the sophisticated argument that I always use for NT haterz, which involves me holding my hand up and saying "Is the National Trust a good thing or a bad thing?" and when they start spluttering about how it is generally a good thing, I declare "case closed" and move the conversation on, usually to did they see the failed bake on Extra Slice last week, the one that was supposed to be a squirrel, because I DIED laughing at it. But maybe I was unknowingly influenced by Mr B, because for the first time today I found myself absolutely infuriated by the National Trust. 1. The Earl of Powis doesn't allow photos - I was taking a photo on my phone when a guide rushed across the room and said "no photographs!" I'm no Annie Leibovitz but I was surprisingly dismayed by this - maybe it was the 6.30am start and the four hours I had just spent on trains getting to Powis - so I asked why not. 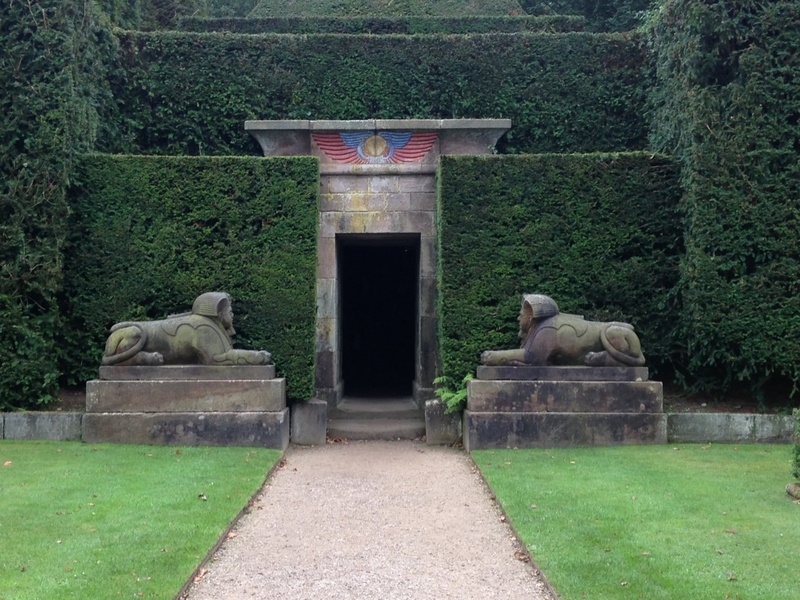 "The Earl of Powis doesn't allow it". 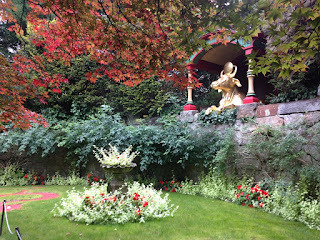 I wanted to ask her why he would put up with the public traipsing around the place, which is surely a far greater inconvenience, but not allow a few unflashed photos, but she seemed a bit flustered and I knew the answer anyway (the £13.40 entrance fee x the 126,000 annual visitors) so I left it. 2. The Clive Museum - I had read about the Clive Museum in the guidebook before my trip and I was perturbed by it, to be honest. Regular readers will not be surprised to hear that my school didn't bother with the British Empire - in fact, and this is no word of a lie, the only education I got about the Empire was when I was a 20 year-old teaching assistant in Germany and the 11 year-olds there knew all about it. BUT, even with my limited education, I sort of assumed that we didn't really celebrate the whole Raj thing? At one point the guidebook tells how Robert Clive (father of Edward, the 1st Earl of Powis, 3rd creation) served in India where "there was considerable local unrest and Clive was authorised by the British government to defeat local uprisings; this he did successfully, amassing a personal fortune at the same time." Shouldn't there be some sort of coda to this, just reminding us what "successful" actually meant to the local population? I later spoke to my wise Sconecounsel, Pete Duxon, who gently reminded me that many NT houses have either been built or extended or furnished on the proceeds of the East India Company, or slavery. And he's absolutely right - Robert Clive owned Claremont for a while, and Osterley Park was built thanks to the Child family's involvement in the EIC, to name but two. 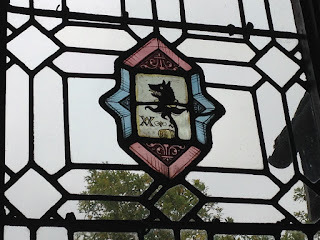 But I still felt better after I read this article by historian William Dalrymple about the Clive Museum, which explains that there are more Mughal artefacts on display at Powis than at the National Museum in Delhi. 3. Tipu Sultan's tent - as you can probably gather, I didn't like the Clive Museum and its lack of balanced information, but while I was there I saw one of the laziest, most arrogant things I have ever seen at the Trust. I wandered into a little annex to find some glass panels facing what looked like a building site, with a woman's dress plonked in it. I looked closer and realised that this is where they usually keep Tipu Sultan's state tent. Tipu had been the ruler of Mysore until our friend Robert Clive helped defeat him at the Battle of Seringapatam in 1799 and "many of his possessions were acquired as the spoils of war" as the guidebook puts it. Interestingly, this event is known as the Siege of Seringapatam everywhere else. Anyway, the tent has been taken to the V&A. Nothing wrong with that. 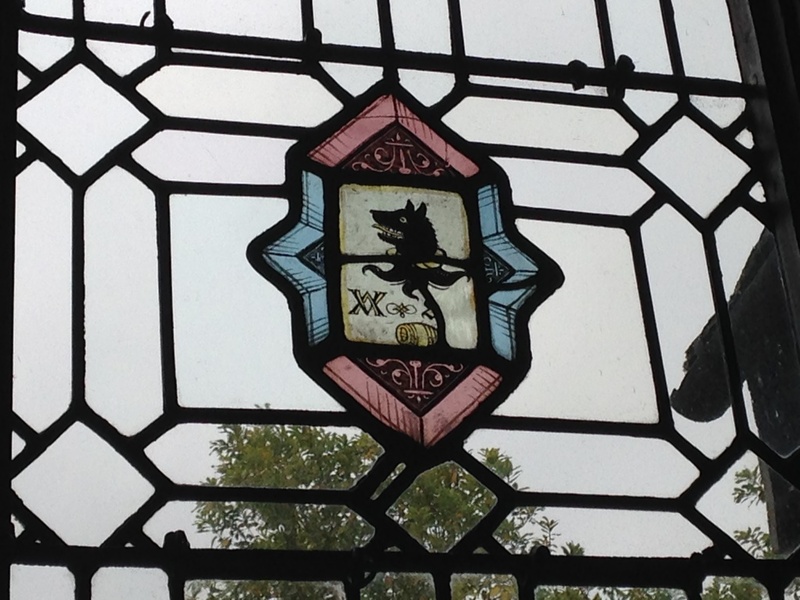 But if you go to Powis to see it, all you will find is a building site and a really insulting piece of A4 stuck to the window showing pictures of it being removed. What use is that? Why not have a large picture of it so people can still see it, having paid their £13.40? 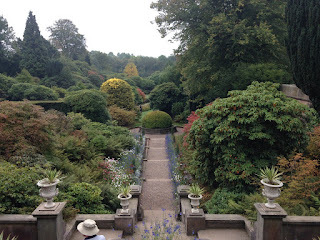 I was a bit dejected by all of this, because Powis was the 100th stop on this National Trust Scone Odyssey and I badly wanted to have an informative and enjoyable day, like so many of the other 99 days that I've had. 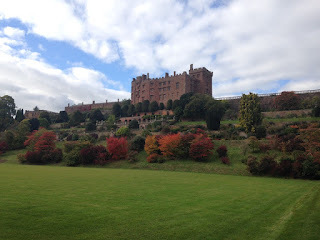 I'll finish with the highlight of my day; the walk from Welshpool station to the castle. The National Trust really should treat itself to a new website - if you look on the Directions page to Powis it says "Welshpool, 1¼ miles on footpath" which could mean anything really. I love this National Trust Scone Odyssey more than is probably healthy, but I would prefer not to get murdered doing it. There was one trip where I 100% thought I was going to get mugged on my way back to the station. 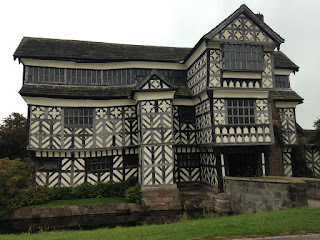 But then there was Lyme Park and there was Flatford, where the walks from the station were absolutely fantastic and I wouldn't have missed them for all the cars in the world. Anyway, my point is that the Trust should share this information a bit more. 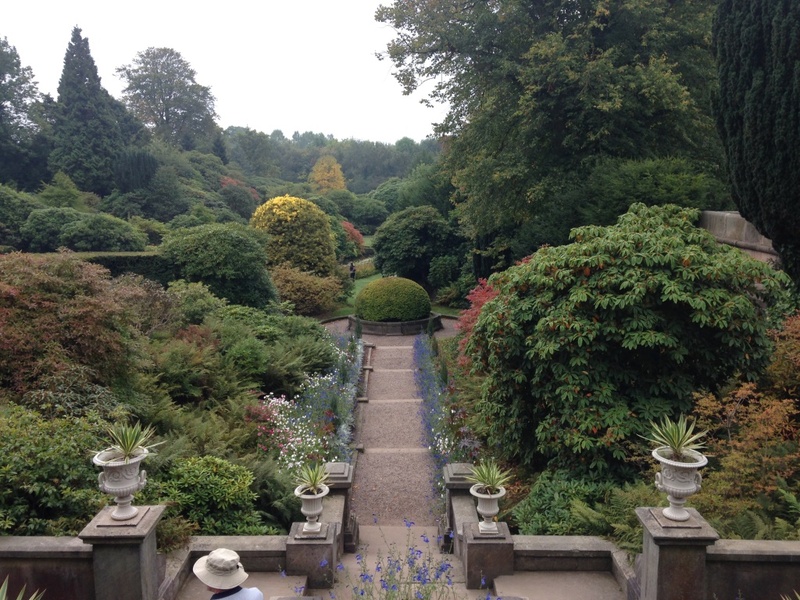 If the walk from the station is difficult - there's no path to Baddesley Clinton for example - then just tell us. 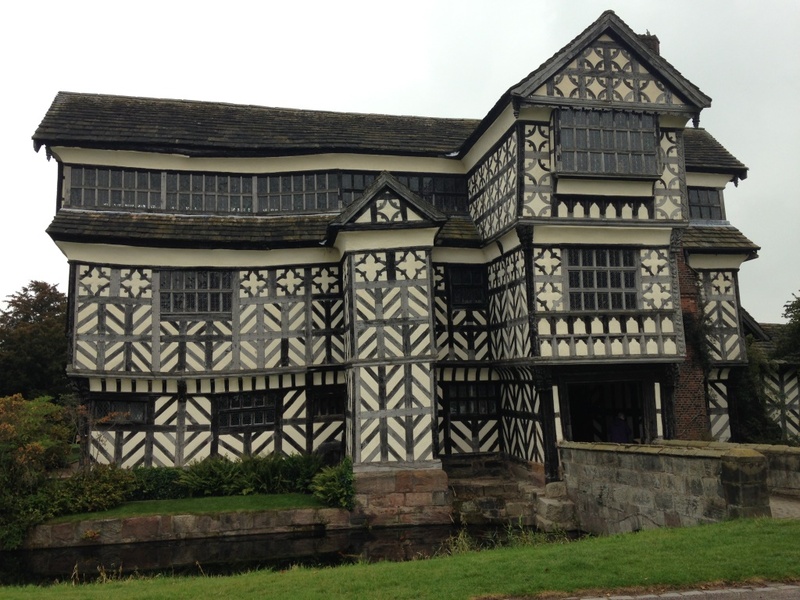 If the walk is a little challenging but utterly worth it - Lyme Park - tell us that too. Or let us tell each other. Welshpool is a lovely little town. One of my life rules is never to look in estate agent windows when I venture outside London and today I accidentally broke that rule. I've decided to move to Welshpool next week. I'm not going to tell the Scone Sidekick - I'll just stick a piece of A4 on the fridge showing pictures of me packing my stuff. Lastly I want to thank Pete Duxon for his insights today, especially about the National Trust and photography. He tells me that the NT used to be paranoid about people taking photographs but they relaxed their rules in 2010 so that most places now allow photography without flash - he explains it here. It made me feel a little less annoyed (but not much). 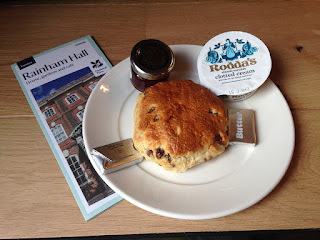 I think it was just after my 10th scone expedition that I idly came across a page on the National Trust website that said "the Trust now looks after 566 properties". I immediately had to go and lie down. 566 PROPERTIES. 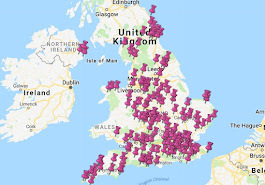 How in the name of cream of tartar was I going to visit another 556 places and eat 556+ scones? I calmed myself when I realised that around 50% of National Trust places are scone-free zones. I personally think that everything in life can be improved with a scone, but it's probably unwise to start installing ovens and extractor fans at an unspoiled natural beauty spot that you are supposed to be preserving. 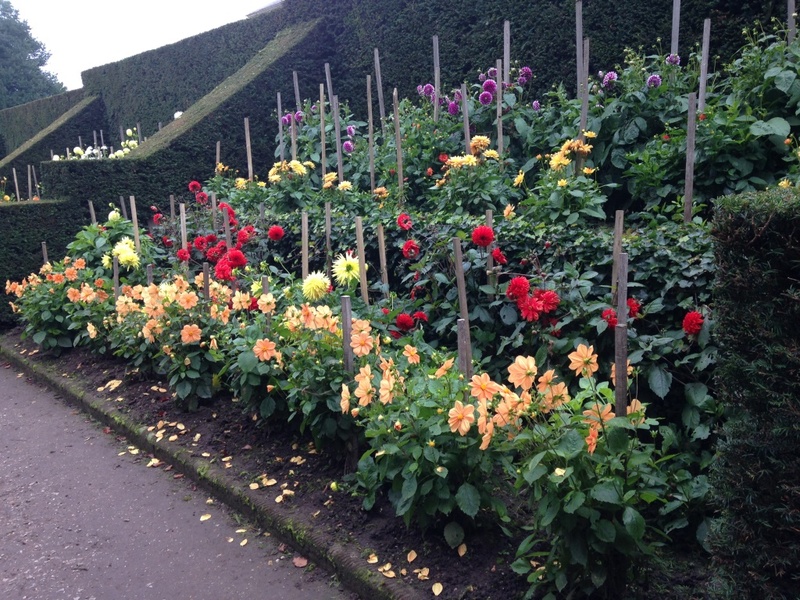 Anyway, I totted it all up and came to the conclusion that I had around 220 National Trust tearooms to visit. A tough target, I thought, but achievable with a bit of commitment and an obliging Scone Sidekick. Unfortunately for me, the National Trust doesn't stand still. Every once in a while I will see an NT person on Twitter saying "woo, check out the mugs for our new tearoom!!" 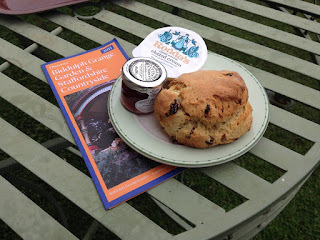 and I know that my list has just been extended, AGAIN, and I will NEVER, EVER be finished with this National Trust Scone Odyssey. 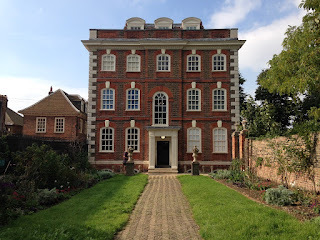 Rainham Hall is a case in point. 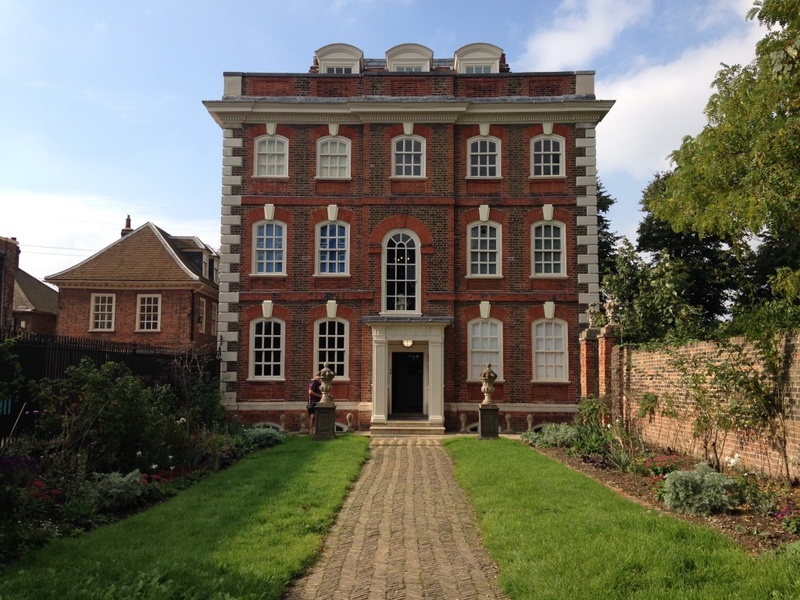 It reopened this week after a £2m restoration project, which included the creation of a new coffee shop. I doubt that the whole £2m went on the coffee shop, but I decided to go along anyway. In 2013, a major restoration project began to turn the place into a "hive of commercial and community activity"
The highlight for me today was the story of John Harle's will. A few weeks ago, I shared my surprise with you when I discovered that the NT had used eBay to find genuine cannonballs from the Battle of Quebec for Quebec House. So you can imagine my shock today when I found out that John Harle's will was basically discovered AT A CAR BOOT SALE. There's a brilliant video of a woman explaining how she loves rootling through old documents at car boot sales, and she happened to visit one up in Newark in 2012 on her way home to Essex after a holiday. There was a man selling a few bits from Rainham in Kent, so she asked if he had anything relating to Rainham in Essex. He said he did, at home, and after a follow-up phone call she got her hands on the original will of John Harle, which she donated to the Trust. 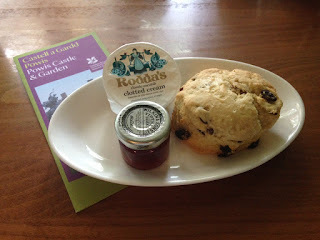 On to the scones: it seemed a little bit unfair to visit an NT property only five days after it opened, but I did it anyway. 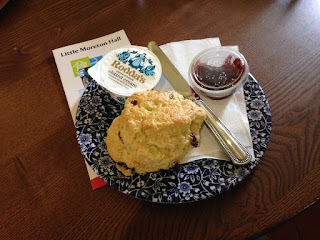 The scone didn't look or taste home-made but it was fine, and the new tea-room is lovely.